Good manufacturing practice is a system for ensuring that products are consistently produced and controlled according to quality standards. As S.R. Drug Laboratories is dedicated for upheaval of health status we are fulfilling GMP requirements such that drugs, and the methods used in their manufacture, processing, packing, or holding conform with those practices that will assure that drugs meet the requirements of the Act as to safety, and have the identity, strength, quality and purity characteristics that they purport or are represented to possess. From the time we purchase raw materials till the time it is dispatched to the customers, we have been strictly following GMP norms and regulations. This is the reason that S.R. 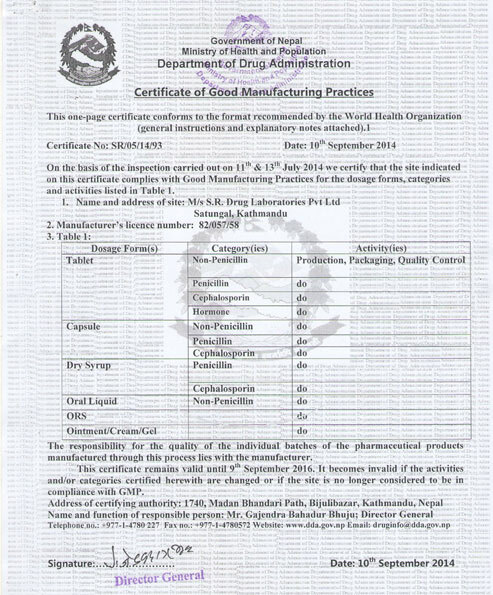 Drug Laboratories is awarded with the valuable WHO-GMP certificates in a shortest span of time and is a testimonial of commitment towards quality of the products. For S.R Drug Laboratories GMP is not just a rules and norms but it is company's lifestyle. Quality is the upshot of good organizational management. S.R. 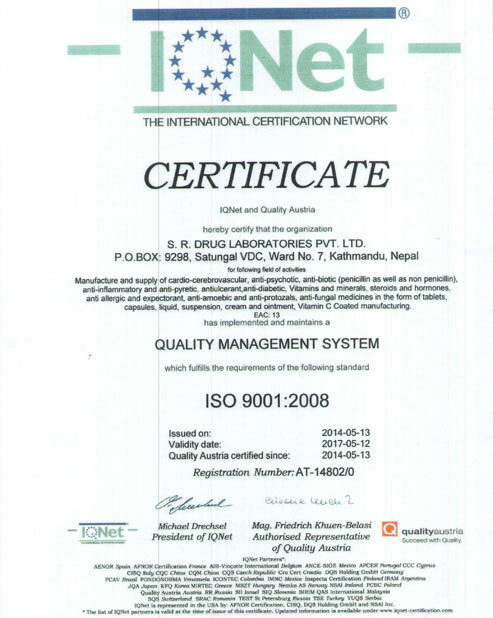 Drug Laboratories has been certified with ISO 9001:2008 which primarily concerned with quality management. 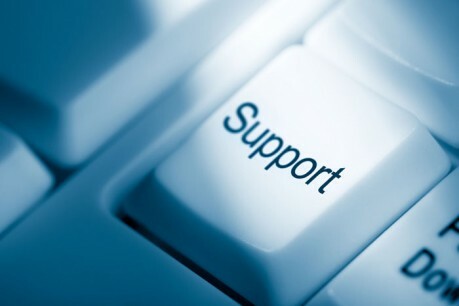 This was only possible through understanding the customer’s quality requirement while aiming to enhance customer satisfaction following applicable regulatory requirements. Our management believes in quality and we implement best practices, a continuous improvement and tapping the full power of knowledge for the betterment of our quality management. UN millennium development goal focuses its action to address the issues of health, education and environment. Environment has direct impact on health. S.R. Drug Laboratories is striving for better health and clean environment by minimizing harmful effects on the environment caused by our activities. S.R. 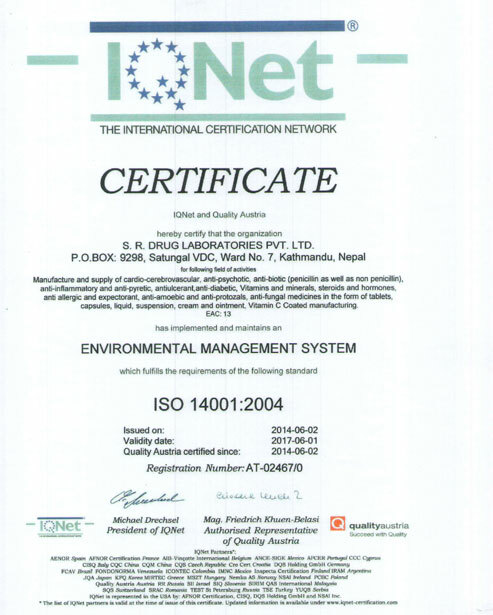 Drug Laboratories is certified with ISO 14001:2004 for its environmental friendly management system. 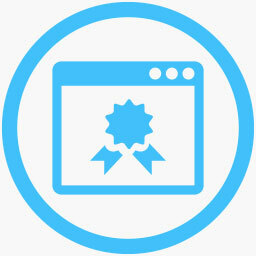 We pursue to achieve continual improvement of our environmental performance.